I’m Jan Schilling. I’m one of the lucky few who have gotten to live my dream. I decided when I was very young that I wanted to be a veterinarian when I grew up. What I didn’t know was that at that time Wisconsin didn’t have a veterinary school and only thirteen Wisconsin residents were admitted to the University of Minnesota, College of Veterinary Medicine each year. On my second try I landed one of the coveted spots and started the long slog through vet school. Since my graduation in 1981 I have worked in a typical small dairy farm/small animal practice, been dairy farmer (love those Brown Swiss!) and since 1997 have practiced complementary veterinary medicine for all species of domestic (and sometimes non-domestic) animals. The Veterinary Spinal Manipulation, Acupuncture and Qigong Energy Balancing I do now have allowed me to help animals that often aren’t responsive enough to conventional veterinary medicine. Helping and healing animals is a compulsion as well as my livelihood, I can’t NOT do it. 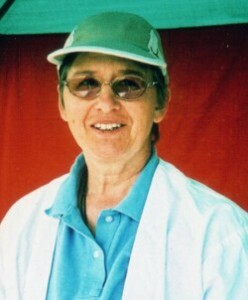 Dr. Schilling graduated from the University of Minnesota, College of Veterinary Medicine in 1981. She is licensed to practice veterinary medicine in Wisconsin and Minnesota. For 10 years she worked in a mixed/dairy practice in Hillsboro, WI. She formerly owned and milked a small herd of Brown Swiss cattle. In 1997 Dr. Schilling was certified by the American Veterinary Chiropractic Association. She then trained in Veterinary Acupuncture and Traditional Chinese Medicine at the Chi Institute. Dr. Schilling has participated in workshop levels I, II, III and IV in Spring Forest Qigong with Master Chunyi Lin. She is also a Reiki master. She has also completed a Shamanic apprenticeship with Jaes Seis of Pachamama Inc.
Dr. Schilling gladly treats all domestic animals. She has chosen to limit her practice to the methods described here. She lives and works in Viroqua, Wisconsin. Dr. Schilling has been quoted in the Wisconsin State Journal, The Country Today and In the Light. She has been interviewed on WXOW TV and WVRQ radio. 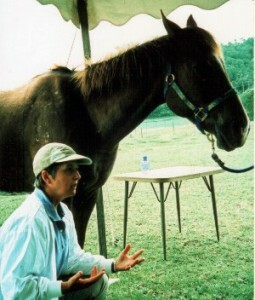 She has spoken several times at the Holistic Horse Fair on a variety of topics. She has written for the Perfect Balance Hoof Care Newsletter. Dr. Schilling has spoken at AVCA approved continuing education conferences. She also gives local talks on VSM and Acupuncture and formerly taught Qigong.